Wall mural Gateway to the sea. 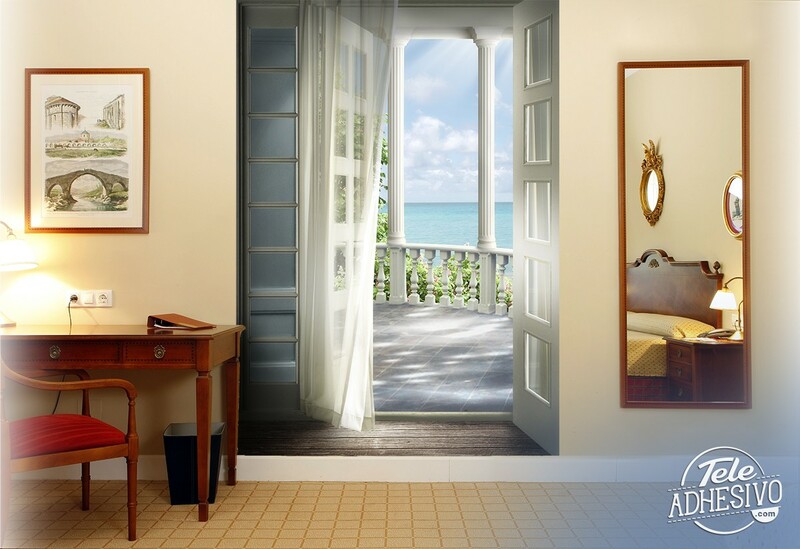 A room with an open door leading to a terrace. 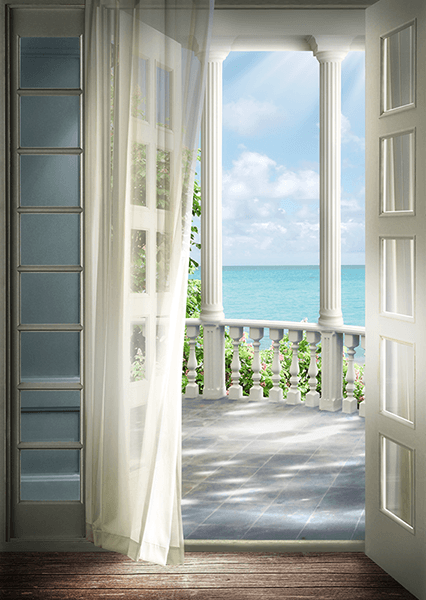 The air moves the curtain and the terrace has a beautiful railing from which two large columns come out to support the roof, behind them is the sea and its immensity. Elegant photomural to decorate your home. Size: 95 x 39 cm.